Are you on your phone too much? I know I am (probably). 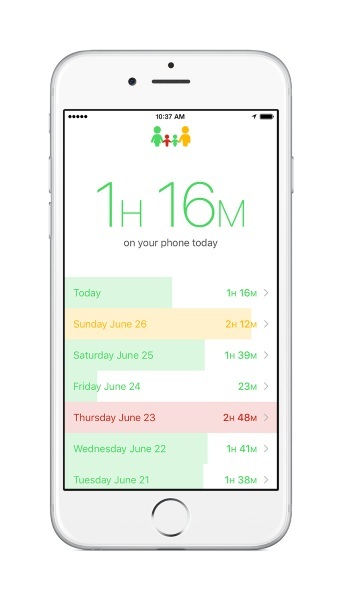 If you worry that you are and happen to have an iPhone or iPad, then Moment is the app that will track your usage and cut you off when you’ve had enough (as decided by you). The idea of this app is to get a handle on how often you’re on your mobile device by monitoring your data usage. The more you use, the longer you’re on, the larger your phone habit. By seeing it in plain form, it may help you cut back. After all, all of those quick check ins with games and social media really add up. You can set daily limits so that it cuts you off when you’ve gone over (or just notify you if you’re not being dramatic). This is a simple act that help you keep track of your phone usage. There is no Android version yet but they do have a sign up for notification of its availability, so it looks like one is coming. Currently you can download it in the App Store.